Jersak contends, if Christ is “the image of the invisible God, the radiance of God’s glory and exact representation of God’s likeness,” what if we conceived of God as completely Christlike—the perfect Incarnation of self-giving, radically forgiving, co-suffering love? A More Christlike God suggests that such a God would be very good news indeed—a God who Jesus “unwrathed” from dead religion, a Love that is always toward us, and a Grace that pours into this suffering world through willing, human partners. I really think that this “Tripps” people up a lot (pun intended) because they don’t really understand how angry or mean their God is. And if they do make the connection, they are soon to be in a deep struggle with the concept on a daily basis as it relates to their everyday life and experiences. This book directly confronts some of the most pertinent and engaging questions Christians are asking today of some very established and long held theological beliefs. Those brave enough to take this journey will gain much needed insight and options necessary to continue the journey forward. The format of the book is very user friendly. Terms are well defined throughout, and the style is fluid and conversational with questions and a prayer finishing out each chapter making this a great resource for a small group study. In fact, this would be a perfect resource for a youth or college group. 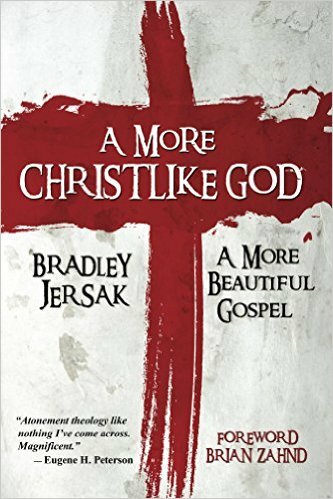 Some of the most compelling concepts Jersak brings up center around alternative ways of looking at scripture and how God is perceived by both the writers of scripture and Christians throughout the ages. Anyone asking the hard questions like, “How can a loving God allow evil to happen” seriously and without haste need to read this book. And don’t expect the same fare served up in Evangelical camps. Expect a whole new vision and a God more loving and present than ever before. This book is beyond a welcome addition to my library and I will highly recommend it to anyone beginning to think outside the traditional theological box. Oh, and did I mention what Richard Rohr had to say about it??? This book is outside the scope of what I traditionally read but when I noticed what the book was about I picked it up for a few different reasons. The primary reason was because I feel that this is an issue that American Christians can and should be knowledgeable about and reacting to in a positive, loving and compassionate way. You should know up front that his book was both incredibly easy to read and incredibly difficult to read. The writers and the story tellers do an incredible job of pulling you into the story and that is what makes it easy to read. What makes it incredibly difficult to read is the subject matter itself – knowing that this is no mere story, but a string of events that actually happened, and continue to happen daily right here in the good ‘ol USA. 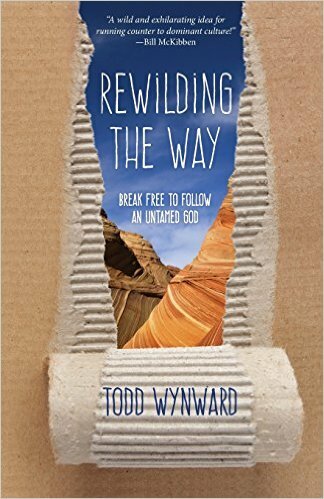 Yet, that is why this book is so important and why I would highly recommend it – especially to leaders in the church. 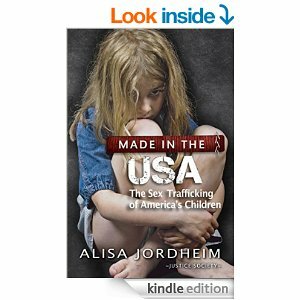 The bottom line is that the more people understand the signs and symptoms of sexual abuse, the more readily able they will be to initiate help, the one thing that was lacking in each of the stories in this book. As a Christian leader and pastor, I believe that this issue is something that the church can immediately begin to acknowledge. Reading this book has opened my eyes to the gravity and depth of the situation as well as the immediacy and the locality of it among our own families, neighborhoods and communities. I will be honest, I really didn’t want to read this book but I felt compelled to do so…I’m glad that I did. I am going to start a new series covering quotes/highlights/thoughts, etc… on journal articles I am reading. Unfortunately, I can’t post the entire article, but I do have them saved in a PDF format, so if you want one of them, just ask and I can email it to you! A new system at Claremont School of Theology Library allows for quick and easy scanning to PDF which can immediately be sent via email. Colloquium Oecumenicum Paulinum, and Karl P Donfried. “1 Timothy Reconsidered.” Peeters, 2008. Well balanced, recent scholarship, excellent chapters from Margaret M. Mitchell and Luke Timothy Johnson, Karl Donfried’s comments are both commanding and centering. Guthrie, Donald. “The Pastoral Epistles and the Mind of Paul.” Website. BiblicalStudies.org.uk, n.d.. Older article available as a PDF, good introduction to the issue, holds to a Pauline writing of the letters. Seeks to break current/basic mindset regarding the roles of women in the early church, pursuasively contends that 1 Timothy and the Acts of Paul and Thecla do not portray opposite perspecives with regard to the portrayal of women. James, M. R. The Acts of Paul and Thecla. Website. 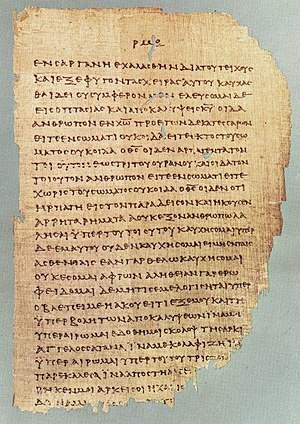 earlychristianwritings.com, Trans. 1924. 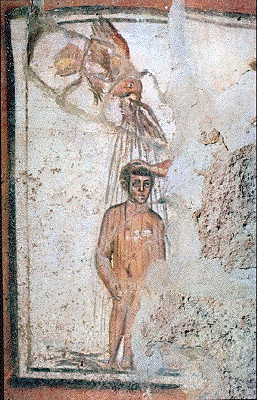 Believed to be a second century document written by a Christian bishop who was later removed from his position for having written it, Tertullian’s comments about it promote the possibility that it was popular oral tradition among the early churches. Knight, George William. The Pastoral Epistles: A Commentary on the Greek Text. Wm. B. Eerdmans Publishing, 1992. One of the first in the NIGNT series, surprisingly conservative, more surprisingly lacks insight at pivotal points, holds to Pauline authorship. MacDonald, Dennis Ronald. The Legend and the Apostle: The Battle for Paul in Story and Canon. 1st ed. Philadelphia: Westminister, 1983. The book that got me thinking, compares & contrasts The Acts of Paul and Thecla to the Pastorals, holds to a purposeful second century pseudonymous authorship as a corrective to Christian asceticism. MacDonald, Margaret Y. The Pauline Churches: A Socio-Historical Study of Institutionalization in the Pauline and Deutrero-Pauline Writings. Cambridge University Press, 2004. Out the gate states the Pastorals are deutero-Pauline, looks at the issue sociologically with a view to the institutionalization of the church. Miller, James D. The Pastoral Letters as Composite Documents. Cambridge University Press, 1997. The second book that got me thinking ( I am currently on my second read), sees the Pastorals as composite documents much like The Gospel of Thomas was believed to be collected and distributed as a whole most likely in the late first or early second century. Misselbrook, Peter. 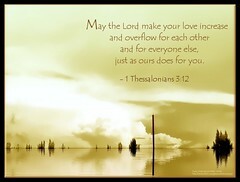 Paul’s Letters to Timothy and Titus. Website. Misselbrook’s Musings, 2002. From his notes on the Greek New Testament and downloadable as a PDF, an excellent resource to read as a commentary as you read the Greek, typically quotes conservative scholarship, portrays a Pauline authorship in his notes. Rumney, Gavin. “Issues Surrounding the Authorship and Dating of The Pastoral Epistles” Blog. Otagosh, May 6, 2008. Another good introduction available as a PDF from a fellow New Zealand blogger. 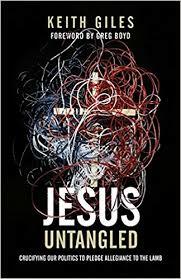 Rollins indeed pushes the limits in attempting to move his readers from a place of comfort and rest to one of a more legitimate identification with Christ, a place where in following him we must inevitably die, and not just once, but multiple tragic and painful deaths throughout our lives. Rollins challenges us to for once take Jesus seriously and to be willing to literally lose everything just as Jesus did…a hard saying, indeed. You know there is no place in Scripture that says a ‘pastor’ must baptize someone.